Will this be enough time do you think to do this tour? What time would you be able to meet us ? Yes, you will have enough time to do the tour. Please see below for the detailed timeline. We just sent an email to you as well, please check it out. Thank you! 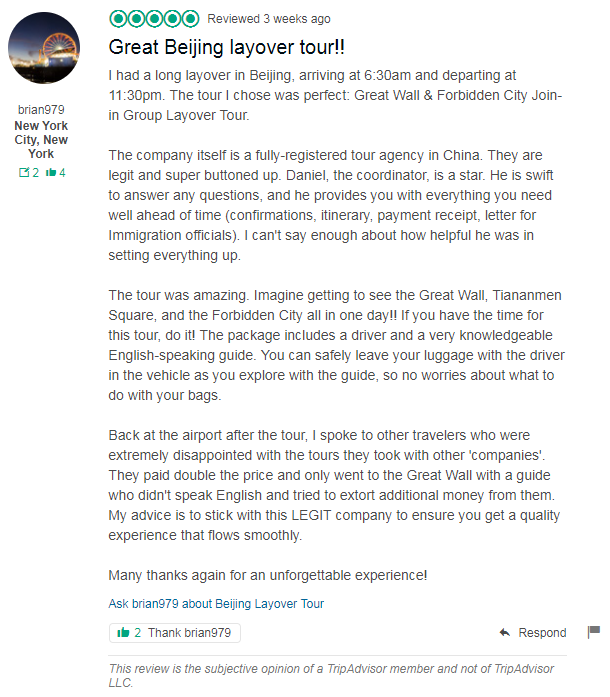 Can we do Forbidden City, Hutong and Temple of Heaven ? As this will be in December (cold and snow), please advise if this tour is possible or suggest different one. 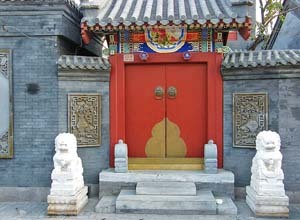 According to your layover time, you will have plenty of time to visit Forbidden City, Hutong and Temple of Heaven. The stated time for this tour is 7 hours. Does that include driving time from and to the airport? Yes, the seven hours includes driving time from and to the airport but it does not includes the time passing immigration (about 1-1.5 hours) and does not includes 1.5-2 hours time for check-in your next flight. How long does it take to get through customs and what time do tours begin? You will take about 1-1.5 hours to get though customs. Please provide us your departure flight time. We can pick you up at 7am. We just sent an email to you, please check and let us know how many people do you have.